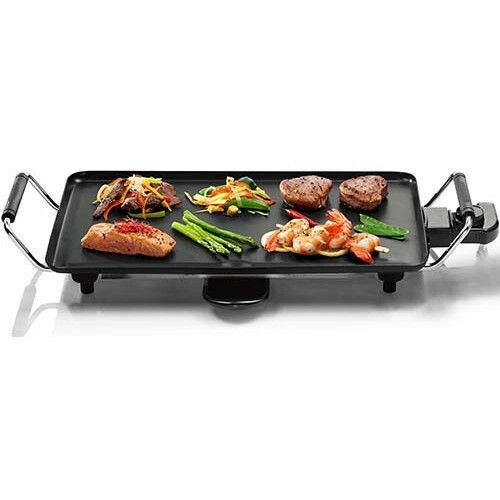 The Maxim Kitchepro Teppanyaki and BBQ Grill features a tough non-stick surface, allowing you to cook like a Japanese Chef in no time! It has a sturdy base and thermo-insulated handles and knob to ensure safety. This product is great for entertaining with friends and family as it is portable and will create a delicious meal. 47cm x 26.5cm cooking surface. Dimensions of Unit : 58cm L x 26cm W x 9cm H.